Dedicated volunteers have helped guide AOCS from a small regional organization into an international society with influence throughout the world. 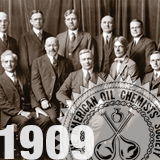 AOCS has survived the Depression, adjusted to rapid expansion in the 1940s and international expansion in the 1970s. 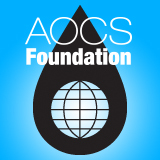 Based on critical feedback from our key members and volunteers, AOCS has become "Your Global Fats & Oils Connection." 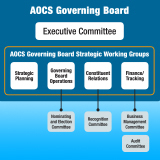 AOCS is led by a Governing Board that works with strategic working groups. 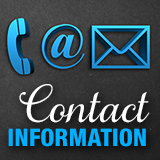 Within each of the working groups are value centers that work as a "think tank" in guiding our future. 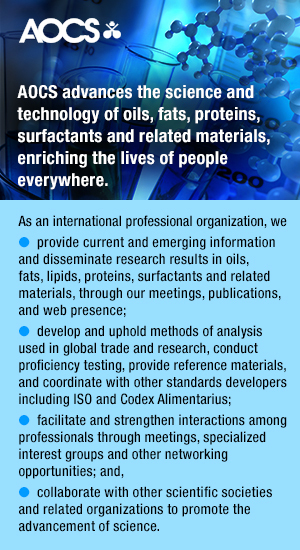 The AOCS Foundation raises and administers funds to advance the AOCS Mission and support professionals interested in the science and technology of oils, fats, proteins, surfactants, and related materials. 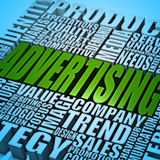 Advertising with AOCS will help you achieve your marketing plans.